A guide to various long-distance hikes in Nevada. Stay at this newly remodeled Eureka, Nevada hotel ideally situated on highway 50, the loneliest road in America. 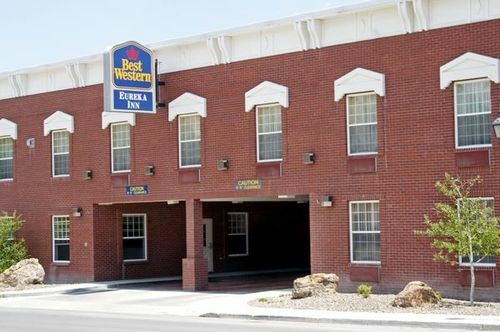 The Best Western Eureka Inn is conveniently located with easy access to the historic main street with a variety of dining and shopping options. Hotel guests will be within walking distance to the 1879 Eureka restored courthouse, opera house and museum. Each spacious, well-appointed room features new amenities, cable satellite television and free high-speed internet access. The best western eureka offers meeting facilities, outdoor swimming pool and hot tub, and exercise facilities. a doctor is on call in case of an emergency. eureka is a popular destination for many outdoor activities including hunting, fishing, hiking and swimming, all within a short distance of the Best Western Eureka Inn. A friendly staff is ready to ensure a comfortable and memorable stay.